Children treated the special women in their life to a day at school. 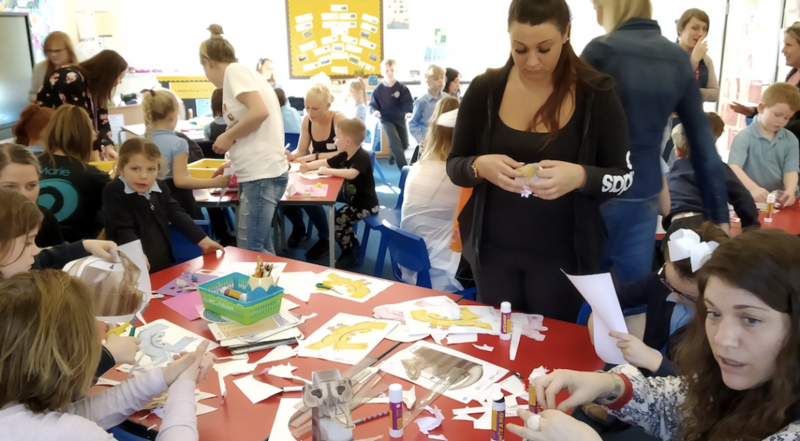 ROYDON Primary Academy, invited mums, nans, aunts, sisters and stepmums to spend an afternoon with their children to mark Mother’s Day. Pupils and their 100 guests made arts and crafts together and played in the sunshine. Headteacher Michael Clark said: “At Roydon, we love to run events where we open the school up to the community. We work really hard to have a good relationship with our parents and we appreciate the level of support we get.